Dana Point Trolley might be coming soon! Posted by Teresa Mihelic HelpDesk on Monday, April 15th, 2013 at 11:42am. We've seen many changes coming to Dana Point lately, like the beautification of the streets , improvements within the Lantern Village and others, and now it's in the talks that by 2014, the city of Dana Point may acquire a transit trolley through the Orange County Transportation Authority’s Project V grant program. “We are proposing a Dana Point PCH trolley and a harbor shuttle on summer weekends as a pilot and year round event shuttles,” said Dana Point Public Works and Engineer Director Brad Fowler. Dana Point is definitely a touristy city, where many jobs if not most, are there due to tourism, being the 3 top employers the 3 largest resorts: the Ritz, the St Regis and and the Marriott. So this is not a surprise, but a great idea. 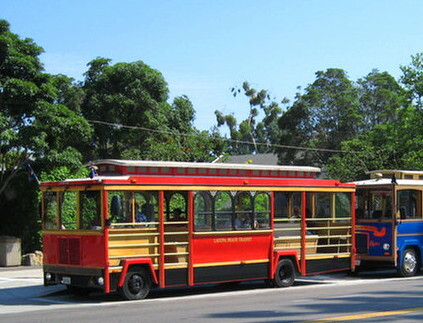 The idea would be for shuttles to run on a 15-minute schedule and provide the city with a Pacific Coast Highway Trolley on summer weekends, as well as a Dana Hills High School shuttle that would transport people to the harbor along with many other annual events, such as summer concerts and Festival of the Whales. The trolley and shuttles will exclude Doheny State Park events. The OCTA Project V would pay for 90 percent of infrastructure, maxing out to an annual sum of $525,000 per city for five years. The city will be applying for the funds and will be applying for funds this year. Would you like to know what's available for sale in the city? Check out the links below and happy house hunting in Dana Point!